Welcome to théATRE TEA, a brand new lifestyle concept from a group of individuals whose unbridled enthusiasm for sharing the culture of tea, with all its health benefits, variety of tastes and delightful rituals, has finally become a reality. 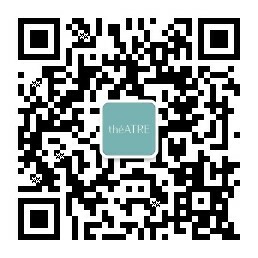 théATRE is a contemporary alternative to the traditional experience. We believe tea is ceremonial, communal, and a beautiful ritual. These ideas led us to our name, théATRE, which has two parts. The first part is thé, which is the French for tea. The second part of our name is theatre, as in a performance space. We aspire for théATRE to combine both of these elements together. Our visual identity employs a playful wisp of aromatic steam, freshly rising from the pot, to depict a dancing form. Full of zeal, yet delicately poised, the human figure elegantly represents the balance in life between energy and calm. Our contemporary, fashionable store and all day tea house are where guests come to relax, hang-out and energize. Our space shares little in common with traditional tea houses because we challenge old notions and completely re-think the experience. Our space is striking both for its unexpected innovative design and for its vibrant ambiance. Our in-store professional tea blenders are experts in creating well known blends as well as exciting new ones too. Within our stores, anyone can either try out one of our popular blends, or if they are feeling in the mood, experiment themselves. Our tea blend masters will help you to infuse a bespoke blend that’s entirely ‘you’. We want you to enjoy our space to discover, and re-discover, the pure joy of tea. We love tea, and this love inspired théATRE. Everything about théATRE is bound to a set of values that we hold. We want to be as involved as possible when it comes to tea and our customers’ lives. By delivering a consistently high-quality product, we can be a part of a personal ritual as well as an ever expanding set of experiences through our range of single origin teas and creative blends. And we’ve got knowledge to share. We serve to educate and share our knowledge on tea and modern tea culture in China and the world. théATRE offers our customers a highly bespoke, characterful and artisanal experience. Our mission is to make tea and tea culture approachable by sharing our knowledge of tea. We want to become part of your daily ritual and bring you best teas from around.